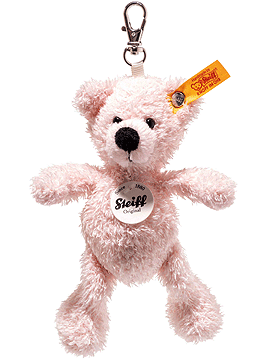 Steiff Lotte Teddy Bear Keyring is made by hand, in the finest pink cuddly soft plush. 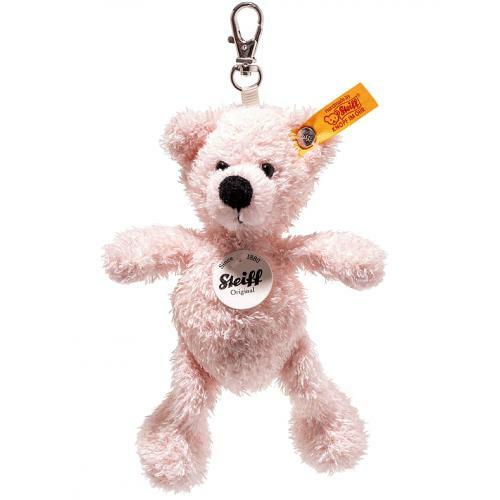 Keyring Lotte Teddy bear is 12 cm tall and made from soft and cuddly pink plush fabric. The area around the mouth stands out thanks to is bright pink tone. The paws and the soles show off this subtle contrast. Her black nose also features black embroidery on the nose bridge. Just like her smiling mouth. This keyring makes a great option for a unique and personal gift. You can hang Lotte anywhere: on handbags, prams, child seats. On rucksacks for children of all ages.